Ian Dunbar was, I believe, the first person to introduce the idea of the “Ouch” command. 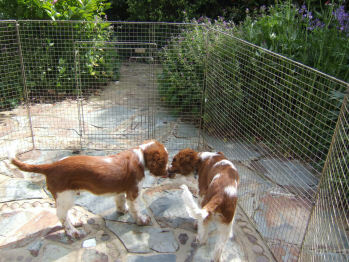 The concept was to make use of the behaviour that puppies learnt “in the nest” to stop them biting. Details of his ideas are available on his website. I found his ideas very interesting and have used them with a number of puppies. I have taken these ideas much further than Ian’s basic ideas. Like all training, you have to be totally sure that the pup understands one lesson before you move on to another situation. Like all commands, the “Ouch” must not be over used. Ensure that children, in particular, do not view it as a game to be played with the puppy, or it will loose all its meaning. Once a puppy truly understands that it should not bite people, then I move on to objects around the house. Frequently, my first choice is a pair of shoes left in a tempting position that I can see very easily. I wait until the puppy tries to bite the shoe and then “Ouch” him. Again, I make sure that the pup totally understand that shoes are to be left alone before moving on to the next challenge. 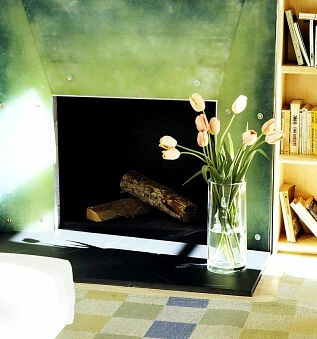 I have an empty fireplace that I frequently place a vase of flowers in front of. It is very tempting for puppies to investigate the vase with those leaves that easily move around when a breeze blows. I then use the “Ouch” command if the puppy goes to bite the flowers. I ensure that the puppy is not left alone in the room before he totally understands the command. Once the indoor training of the “Ouch” is secure, then the time has come to allow the puppy to be loose in the garden, still under supervision of course. (Before this point, when my puppy goes outside to do its business he is placed in a puppy play pen to ensure his safety in the garden). Watch the puppy carefully and if he tries to eat a plant, “Ouch” him. Within a few days, your garden should be safe from your puppy and visa versa. As an aside, dogs like to eat grass occassionaly. Somehow, my dogs know that grasses are different from other plants and I do allow them to eat grasses. So, what if your dog is no longer a puppy, can he still learn the “Ouch” command? Of course he can, it may take a little longer and a lot more persistance from you though.